South Australian automotive company Supashock has signed an agreement to partner with international prime and defence leader Rheinmetall. The agreement, signed at the SME's headquarters in the Adelaide suburb of Magill, will see Rheinmetall acquire a 49 per cent stake in the company. It comes just three months after the pair agreed to work together on the development of active and passive suspension systems for implementation into trucks. The South Australian company designs, develops and manufactures state of the art active shock absorbers for motorsport and heavy mining applications to improve safety, ride quality and loading operations. Rheinmetall is currently the largest supplier of military vehicles to the Australian Defence Force. Minister for Defence Industry Christopher Pyne attended the official signing in his home state of South Australia and said the Adelaide SME is an excellent example of an Australian company entering a new market for its innovation. 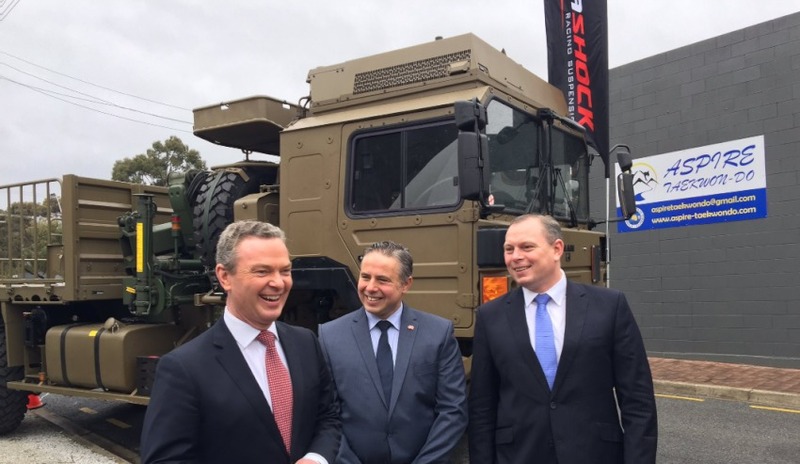 "Supashock is a great example of a local Adelaide business who was been able to diversify from an automotive background into the defence sector," Minister Pyne said. "With 25 employees at its headquarters in Magill, a partnership like the one made with Rheinmetall, a significant global defence company, will only see that number grow and be sustained well into the future. "Supashock also received a $468,887 commercialisation grant under the Turnbull government’s Entrepreneurs’ Programme to help develop its dynamic suspension technology for armoured and protected defence vehicles in April this year." Minister Pyne said Supashock's success should be an inspiration for other SMEs to look to the CDIC to diversify their businesses into defence. “I commend Supashock founder and owner, Oscar Fiorinotto, for striving to diversify into the defence industry market and as a South Australian, I urge other businesses to look at doing the same," said Minister Pyne. “I encourage all Australian businesses who want to work with Defence to visit the CDIC website at business.gov.au/cdic to seek advice from a business adviser."